Add rice, broth, salt & butter to Instant Pot. Stir, make sure all the rice is submerged in the liquid. Put lid on with steam release in the Sealing position. Cook on Manual or Pressure Cook/High Pressure for 4 minutes. This is a 1:1 ratio of rice:water. You can make more or less rice but keep the ratio the same. 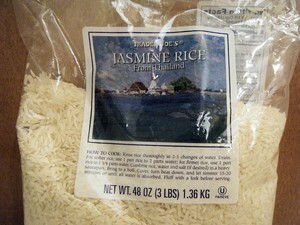 I used Trader Joe's Jasmine Rice. 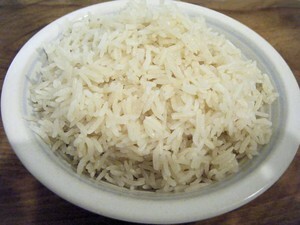 I use this same method for long grain white rice & white Basmati rice. I use a 6qt Instant Pot.